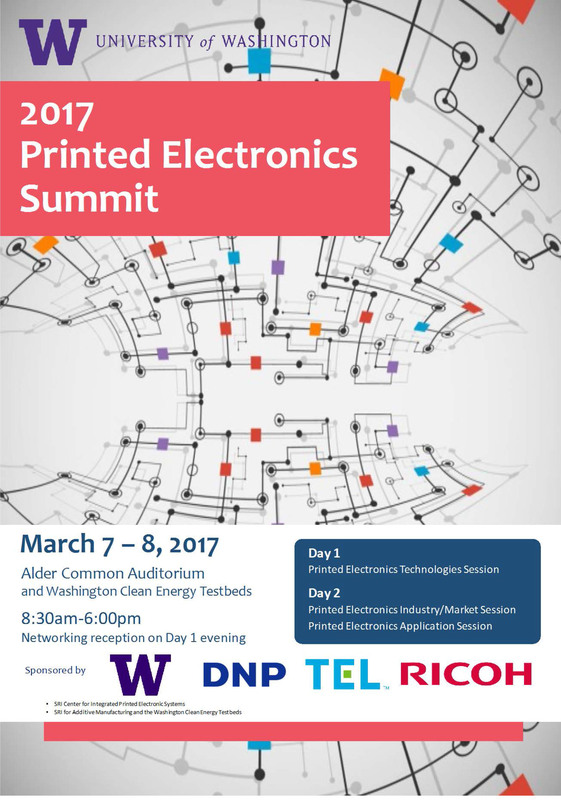 For those of you who have an interest in printed electronics, I want to let you know that the University of Washington will be hosting a Printed Electronics Summit on Tuesday and Wednesday March 7-8. 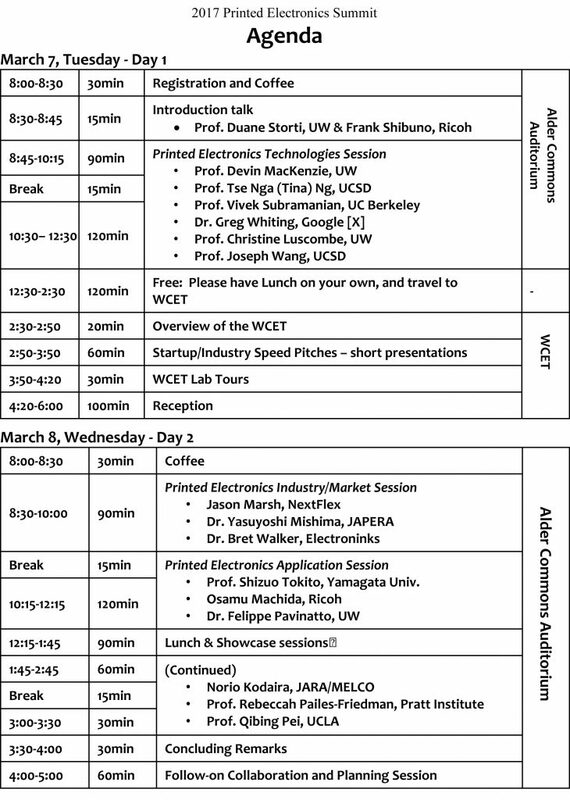 The event is co-sponsored by the College of Engineering SRI teams focused on “Printed Electronics” and “Additive Manufacturing with Advanced Materials” along with several companies (including Ricoh, TEL, and DNP) that are interested in potential research collaborations. Devin MacKenzie is the lead technical organizer. This entry was posted in Uncategorized on March 3, 2017 by ganter.